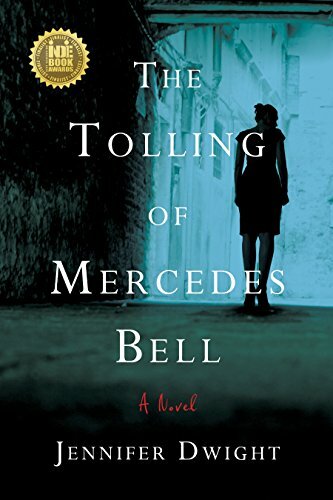 Jennifer Dwight’s first novel, “The Tolling of Mercedes Bell,” will captivate readers from the first page and hold them until the very last. Her ability to capture and portray vivid characters and deliver intense action will result in readers not being able to put the book down. The main character, Mercedes Bell, is a single mother working as a paralegal for a prestigious law firm in California in the 80’s. Having just come out of a nasty marriage where abuse was rampant, Mercedes trusts no man, and focuses solely on her daughter and her job. Mercedes’ boss, Darrel Crenshaw, gives her the opportunity to become more involved in the firms cases due to her keen observation and work ethics. After working on a case the firm lost, Darrel announces they are bringing in a new lawyer, Jack Soutane. Soutane is a silver tongued, slick, handsome man, who has everyone eating out of his palm. Soutane brings an intriguing case to the firm, which involves individuals at the corporate level of a hotel chain that have secret parties where they are entertained by other men and boys. This case is full of twists, turns, and potential life and death endings. Soutane immediately turns on his charm to engage in a relationship with Mercedes and her daughter. He is quite persistent and eventually wins them over. Little does Mercedes know, Soutane is the devil himself, she puts her and her daughter at deaths door with his risky and calculating behavior. The author has experience as a litigation paralegal, and she thoroughly researched the 80s in its culture of the homeless, crack epidemic, and AIDS outbreak. She weaved this information into a story that is full of chaos, romance, death, and hope. Her characters are very well developed and readers will be shocked at the length some will go to in order to obtain fame and fortune without regard to others.